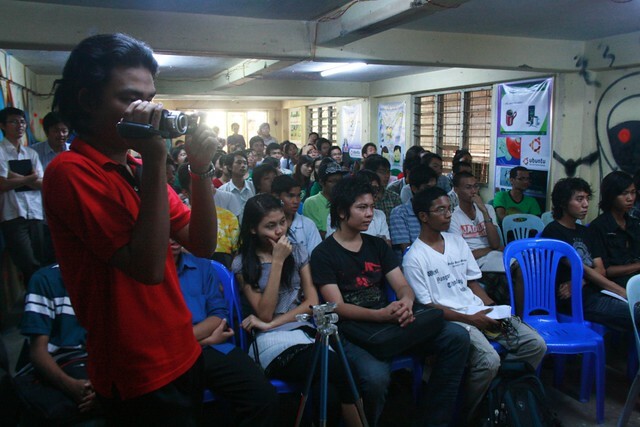 Doing things: :We shared Ubuntu CD, iso, References and other Ubuntu based Distro in BarCamp Yangon 2011.
spoke about Ubuntu in BarCamp Yangon 2011. Doing things: :Distribution of customize DVD and training. Place: :Myo Myanmar Internet cafe,Yuki Internet cafe,Thapya San Internet cafe,Tip Top Internet cafe,Emperor Internet cafe and Target Internet cafe,Yangon. Doing things: :Distribution of customize DVD and Installation to user computer. We created a party chat u4mm@partychapp.appspotschat.com for discussion and Q&A. Translating Ubuntu-Manual into Burmese for Ubuntu Burmese Manual Guide. Writing ubuntu wiki for latest version Ubuntu 11.10 (Oneiric Ocelot) at wiki.u4mm.com. Preparing for words standardization discussion event with Ubuntu Localization+Linguistics specialists on 30 October 2011. 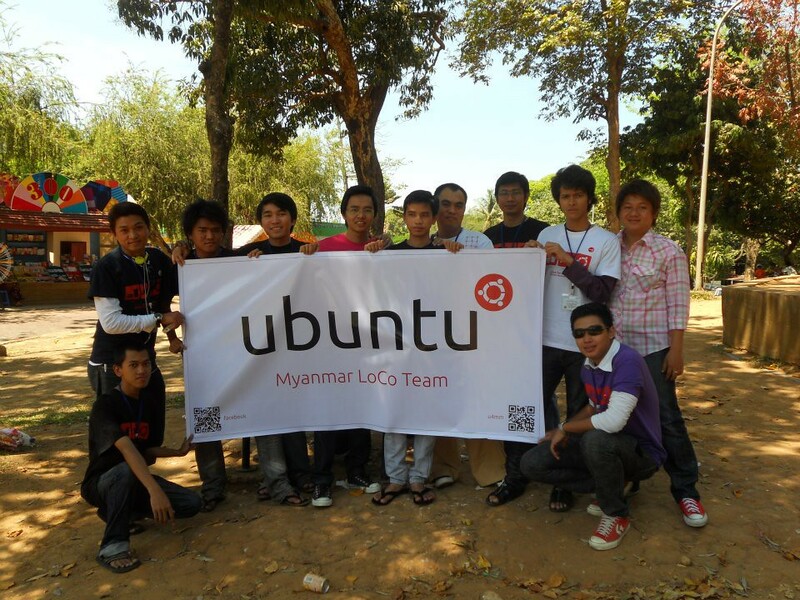 On 30 October 2011,at Words Standardize Discussion Event ,all the members of Ubuntu Myanmar LoCo Team agreed to hold the localization for a moment. Work 4 U opening at 15.October.2011. On the 6th of November 2011, we've face to face meeting for core memeber selection , reapproval of membership and assign new core member to their profession group such as Artwork,wiki,Guide.. etc. On the 13th of November 2011,Making video for Ubuntu beginner. On 20th of November,Ubuntu Community Appreciation Day, Ubuntu Myanmar LoCo Team made Ubuntu-Hour event @ Asian Fame Media Building,Yangon..
On 22nd of November, Ubuntu Myanmar LoCo team set up online meeting at IRC, #ubuntu-mm channel for upcoming event "Ubuntu-Hour (Mandalay)". On 3rd December 2011, Ubuntu Myanmar LoCo's core member team and Mandalay organizer team having meeting for Ubuntu Hour (Mandalay) event @ Mandalay. Doing things: :Distribution of customize DVD,Ubuntu introduction and training. Doing things: :Ubuntu introduction to Shan Monks and youth.